All the qualified men of the Armies of Heaven, graduates of the Academy of Heaven, are pictured in the 19th chapter of the Revelation as riding white horses to take over the global kingdom, establish their millennial dominion and resume duty at their respective stations. The apostle John wrote, “And the armies which were in heaven followed him upon white horses, clothed in fine linen, white and clean” (vs. 14). It is tempting to read the foregoing in the light of the horseback method of warfare at the time of John’s Patmos vision and settle for a literal interpretation. That might, however, require us to similarly literalize, for example, the “sharp sword” (see vs. 15) that goes out of the mouth of the lead Rider, the Lord Jesus Christ. Such a narrow, superficial reading of the Revelation can only create a freak show. We’ve learnt enough to realize that the book is indeed a very intelligent work of symbols and it wouldn’t be too much to allow for a symbolic significance of the horses. The possibility of this is increased by the fact that when we leave the Revelation for more familiar territories where the same things are spoken of, the horses disappear. Really, it is the testimony of those other Scriptures that will confirm the interpretation of the horses that I will propose in this article. As we very well know, the horse is a symbol of power and strength, hence the term “horsepower” used to rate the capacity of our engines. 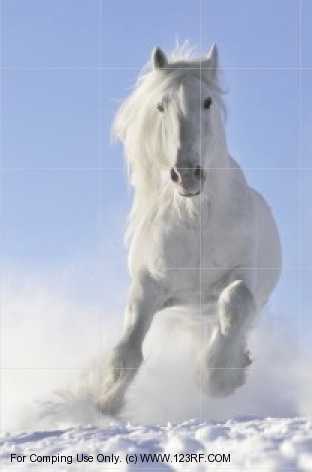 God queried Job, “Hast thou given the horse strength? hast thou clothed his neck with thunder? ...He paweth in the valley, and rejoiceth in his strength: he goeth on to meet the armed men” (Job 39:19,21). This certainly sounds interesting and promising, for we have not only been speaking of the strength of God– expressed in the powers of the four Beasts – that the redeemed saints would demonstrate to effect their millennial dominion, but that these saints would also be of differing capacities, or glories – that is, they will be ranked, or rated. Truly, those horses that the Revelation pictures them atop are the engines, or propellers, of their millennial exploits! But what exactly do the horses represent? This is the question that I will attempt to answer in this article. Let’s take another look at the testimony of the Elders and four Beasts that pattern the composition of the Armies of Heaven: “For thou was slain, and hast redeemed us to God by thy blood out of every kindred, and tongue, and people, and nation; and hast made us unto our God kings and priests: and we shall reign on the earth” (Revelation 5:9,10). As noted in Kings and Priests, there are those who believe that these Elders and Beasts are angelic creatures. That would ordinarily not be an issue. The trouble is that some of them have gone on to change the two occurrences of “us,” the “our” and the “we” in their preceding testimony to read “them,” “their” and “they” respectively, implying redeemed human beings. 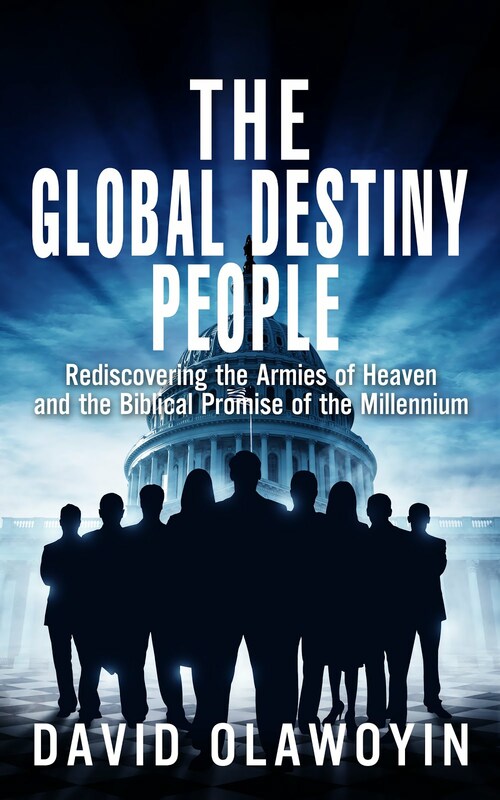 They know that the promise of rulership on earth is to the redeemed sons of men and they’ve been at a loss in reconciling the original testimony with the Elders and Beasts. But as the Revelation solemnly warns, “If any man shall take away from the words of the book of this prophecy, God shall take his part out of the book of life, and out of the holy city; and out of the things which are described in this book” (Revelation 22:19). This is indeed a serious matter; sounds much like a dismissal from the Lord’s armies. Truth is, the twenty-four Elders and four Beasts that John saw are actually angelic creatures. The One he saw sitting on the central throne is actually God Almighty, with Jesus Christ symbolized in the Lamb that stepped forward to take the Sealed Book out of His hand (we will discover what the exchange signifies). The scene is therefore primarily symbolic of the government of the literal kingdom of Heaven. In other words, the One sitting on the central throne, the twenty-four Elders and the four Beasts do not only pattern the composition and organization of a band of human beings comprising Christ and his redeemed saints through whom the God of Heaven will establish an earthly kingdom – as the testimony of the Elders and Beasts expressly gives us reason to believe – but they also symbolize the composition and organization of the literal Armies of Heaven comprising spirit (or angelic) beings, by which the same God has always ruled in and from Heaven. Therefore, for the testimony of the Elders and Beasts to be true and make sense, there must be a unique and sufficient relationship between the two formations – the angelic and the human – and it must have to do with dominion on earth. I will tell you what I believe it is, and in so doing unveil the significance of the horses that the Revelation pictures the saints as riding to establish their millennial dominion.